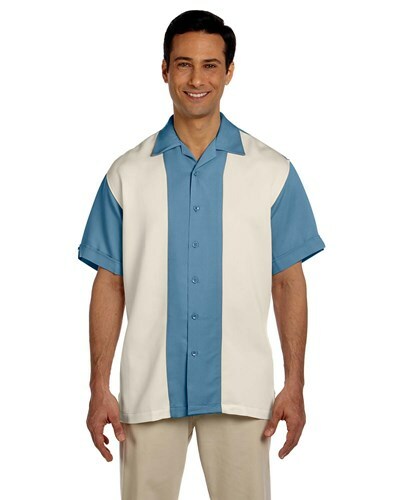 Take this two-tone, retro styled Harriton Men's Bahama Cord Camp shirt to the lanes. This shirt is breathable and wrinkle resistant to keep you cool and looking cool no matter how badly you might bowl. Yes, this is washable but make sure you check the tag of the shirt for washing instructions to keep the shirt looking and feeling like new. Due to the time it takes to produce the Harriton Men's Two-Tone Bahama Cord Camp Shirt Cloud Blue/Creme ball it will ship in 1-2 weeks. We cannot ship this ball outside the United States.